Audrey Parets has been a licensed massage therapist since 1993. She is Nationally Certified in Therapeutic Massage and Bodywork. In 2012, Audrey added the innovative Ashiatsu Oriental Bar Therapy to her expertise. In 2007, Audrey received her credentials as a Licensed Aesthetician from the Arizona Board of Cosmetology and has had extensive training with Eminence Organic Skin Care of Hungary. Audrey is also a Clinical Ayurvedic Practitioner, having completed an advanced certification program in 2009. Audrey offers techniques from different traditions and lineages in Buddhism to meet each individual where they might be in life, study or interest. and trained as a birthing doula with Doulas of North America. 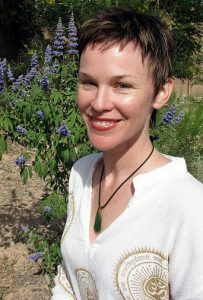 Audrey graduated from the Southwest Institute of Healing Arts and the Southwest Institute of Natural Aesthetics, both located in Tempe, Arizona. the International Professional School of Bodywork in Pacific Beach, California. Audrey Parets has been voted "Best Massage" by the readers of Today’s Arizona Woman magazine.